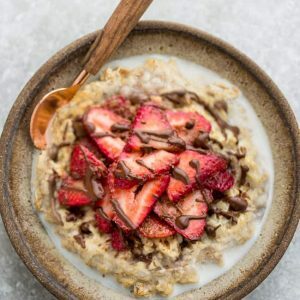 Strawberry Steel Cut Oatmeal is hearty, comforting and perfect for chilly mornings. Refined sugar free and made with gluten free steel cut oats, vanilla and fresh strawberries. If you’ve been around here for a while, you’ll know that my kids are crazy about oatmeal. 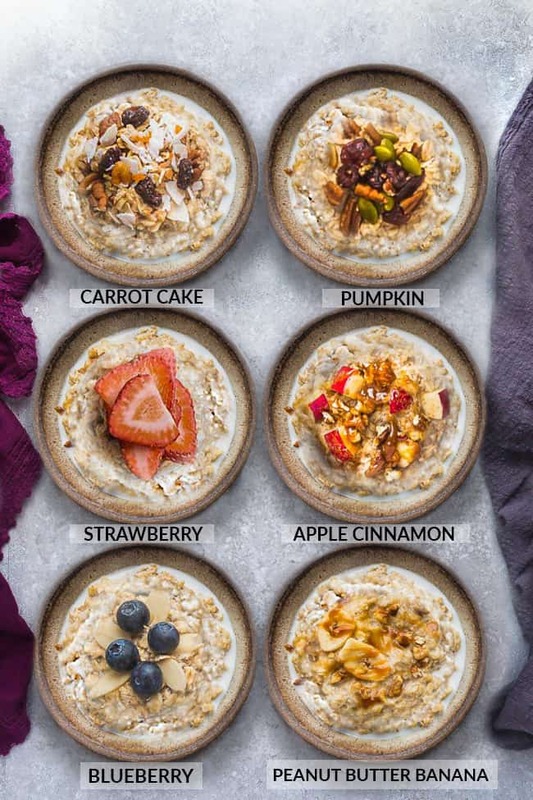 During the summer, we love switching things up with healthy overnight oats and then come winter, they are all about a comforting and hot breakfast to start the day. If you haven’t tried making steel cut oats, this easy breakfast recipe is a delicious way to give them a try. Lately, they’ve been requesting a big bowl of steel cut oats with fresh strawberries. And since it’s been so cold outside, it’s definitely their idea of the best way to start the day before heading off to school. 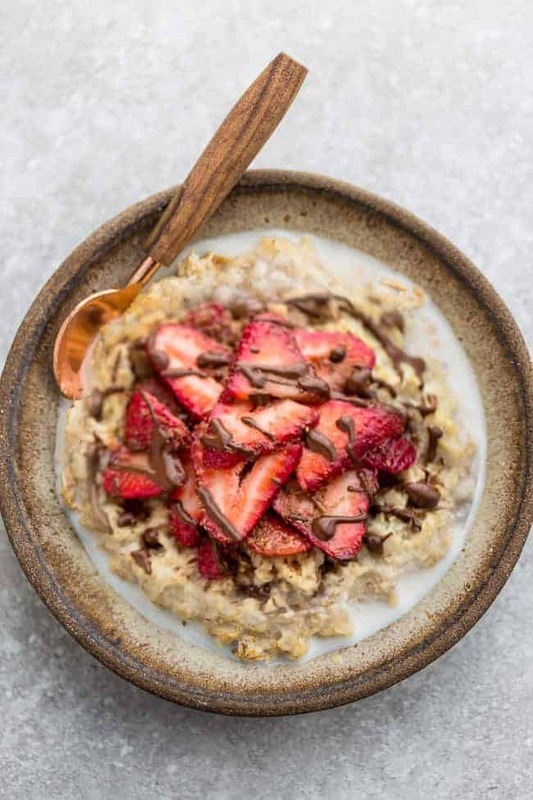 We’re finally starting to see some fresh juicy strawberries showing up in our markets so this strawberry steel cut oats has been happening regularly around here. 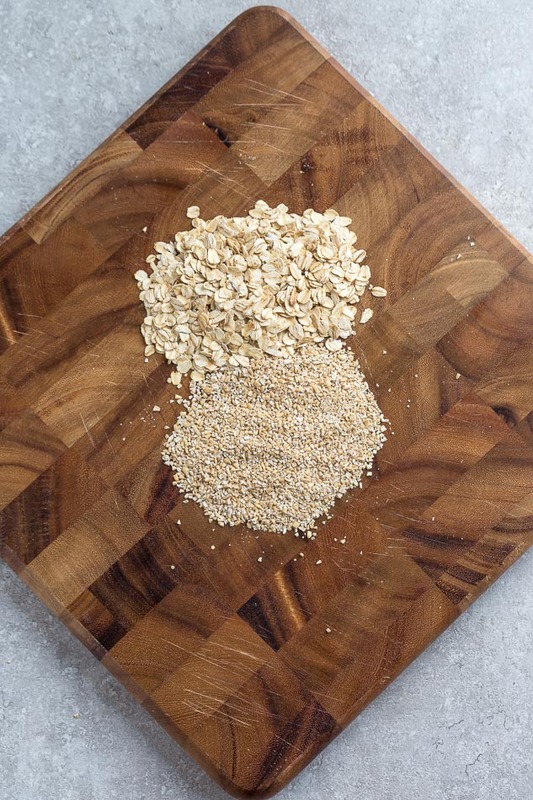 Steel cut oats are not only easy to make, they are also super simple to customize. They make a wholesome and comforting breakfast and are full of fiber and protein to help keep you going until lunch. 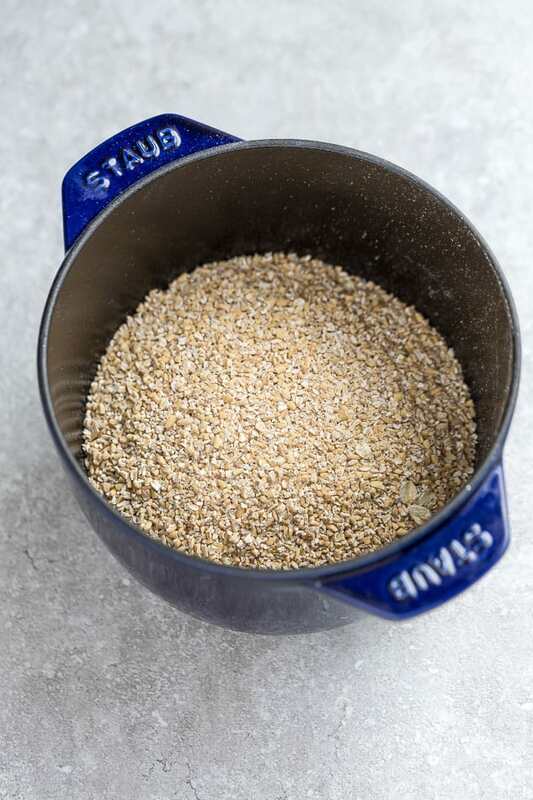 WHAT’S THE DIFFERENCE BETWEEN STEEL CUT OATS AND ROLLED OATS? Steel cut oats are similar to rolled oats, but are are less processed and more chewy than rolled oats. both are gluten free but the machines used to process the oats sometimes contain wheat. Be sure to buy certified gluten free oats if required. For the best bowl of creamy steel cut oats, I like to start off with 1 cup of steel cut oats and 3 cups of liquid. I typically use almond milk but water or half milk (of your choice) and half water work great as well. Oats tend to boil over even when simmered low so it’s important to keep an eye on the pot and stir and scrape the bottom of the pot every so often so the oatmeal does NOT stick. Stir in the sweetener, vanilla and chopped strawberries. Divide into bowls and top each with more strawberry slices, melted chocolate and milk, if desired. CAN I MAKE STEEL CUT OATS IN THE INSTANT POT? Absolutely! Making instant pot steel cut oatmeal is actually my preferred choice. To make a delicious and creamy bowl of steel cut oats, start off with 1 cup of steel cut oats and 3 cups of liquid. To make the perfect bowl of steel cut oatmeal in an Instant Pot, you literally just add the steel cut oats and liquid into the Instant Pot. So simple & takes ONLY 4 minutes of cooking time. The best part of all is that you don’t need to stir your oatmeal at 6 in the morning. It’s totally hands off! To avoid sticking, I usually lightly coat the inner pot with coconut oil (or you can use any other oil or butter if you prefer). Now if you are familiar with an Instant Pot, you do have to keep in mind that it takes the cooker some time to come up to pressure. This can take about 5 minutes. Plus you need to factor in the additional time it takes for the pressure to release naturally – about 12 minutes. So I would plan for 30 minutes start to finish for this oatmeal to be on your table. Add any spices, sweeteners, fruit and give it a good stir.